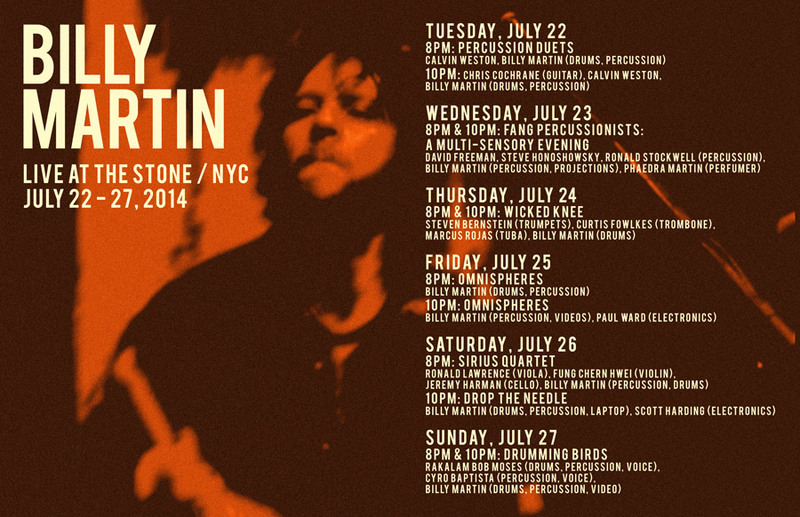 Billy Martin will be ‘artist in residence’ at John Zorn’s legendary Downtown New York venue The Stone in the East Village. Billy will be revisiting and premiering new music with his beloved circle of friends, artists and students. Featured artists: Chris Cochrane, Bob Moses, Cyro Baptista, Calvin Weston, Sirius Quartet, Fang Percussion Group, Paul Ward, Steven Bernstein, Curtis Fowlkes, Marcus Rojas and others!